Gently heat the honey and water in a heavy-based frying pan. As soon as the liquid starts to bubble add the cashew nuts. Move the nuts about in the pan from time to time to coat them in the honey and ensure they brown fairly evenly. 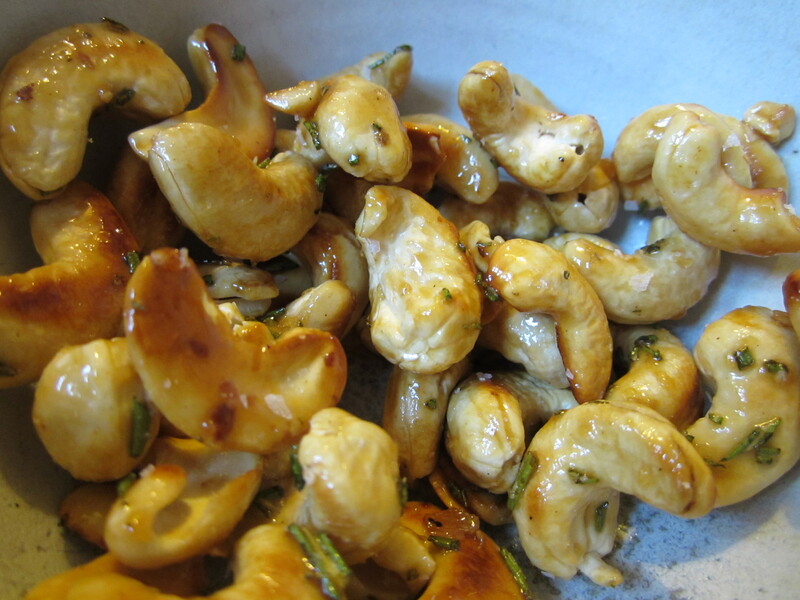 When the nuts start to turn a golden brown colour add the rosemary and salt. Keep cooking and stirring until all the nuts are a lovely golden colour. Remove from the heat and spread out on parchment paper to cool. Break up the clusters a little if needed and serve with drinks (serves 2-3 people).